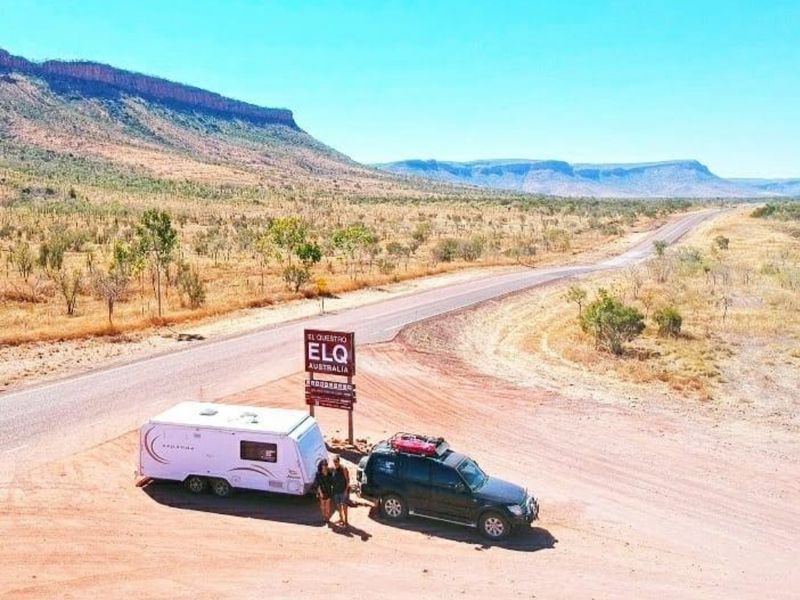 Welcome to the second post in our new series featuring some awesome travellers who are either doing the ‘Big Lap’ or getting ready to go. It’s all designed to answer your questions and help to get you on the road faster. So please welcome Ebony and Micha from Zahlis Big Lap. 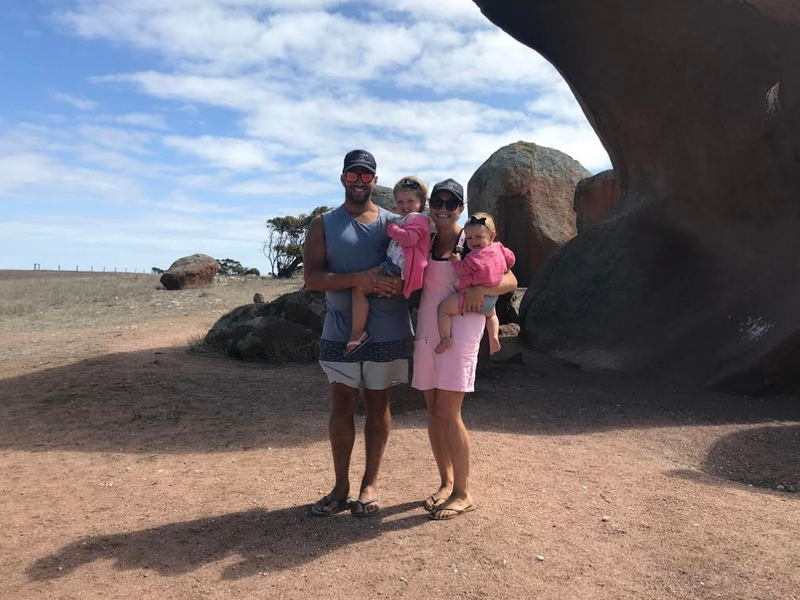 We are Zahlis Big Lap – a young family of four – Micha, Ebony, Maddyn and Emery. 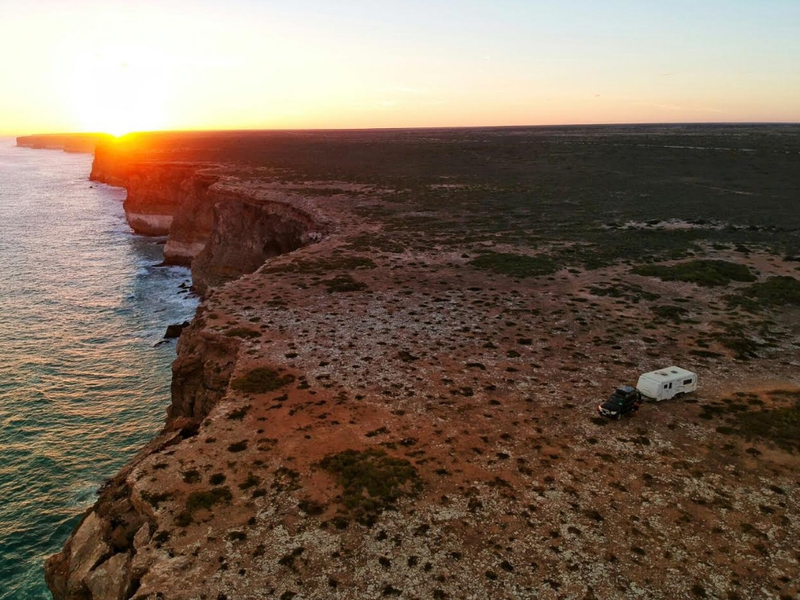 Caravanning our way around this stunning Country, AUSTRALIA! 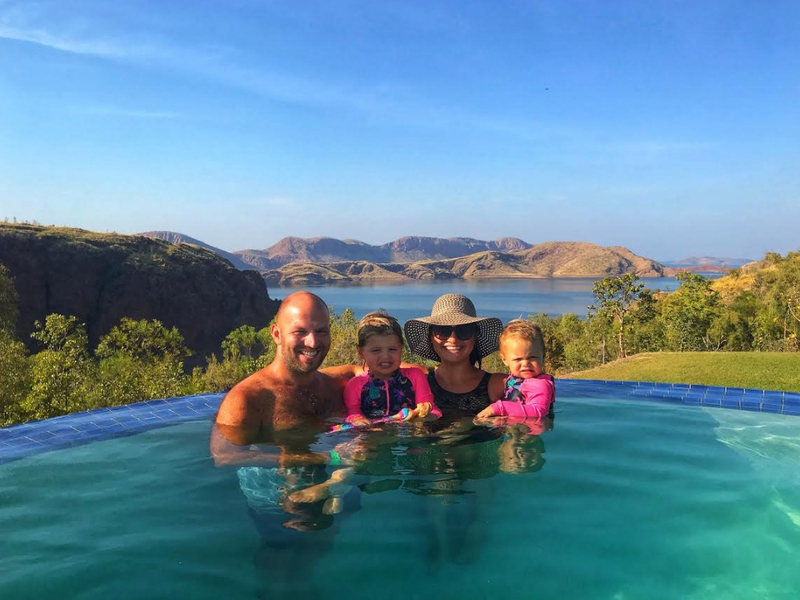 Back in July 2017, after watching an interview on a morning show of a travelling family, I threw it out there and asked my husband Micha what he thought of travelling Australia. He laughed, brushed it off and didn’t think to much about it. 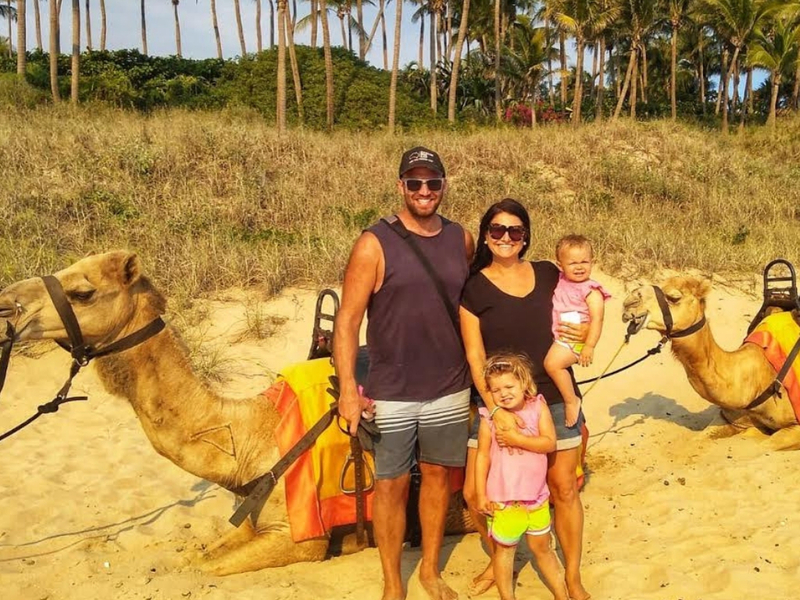 Six months later, our house and belongings were sold and we were on the road with our two girls – Maddyn, 2. 5 yrs and Emery, 1. Starting our trip of Oz with our Pajero and Jayco Expanda. After 3 weeks in Germany, a holiday visiting Micha’s family and a lot of humming and harring as if we should or we shouldn’t. We decided we would. If we can fly across the other side of the world with 2 kids, why cant we travel Australia in a caravan. Our house was currently only on the market as we were wanting to upgrade. It had been on the market over a year. A few offers were made but they all seemed to fall through at the last minute. We were over the inspections and over the excitement and then disappointment once the papers weren’t signed. As soon as we returned from Germany an offer was made, not exactly as much as we wanted but we were happy to see it go. It was our first home and we had made many special memories here. Our time here was how ever done. It was time for a new chapter. It was a quick settlement – 30 days. Too quick for us to find a car, van, sell, pack and store all our belongings. The real estate found us a 3 month rental on short notice and the planning was in full force. 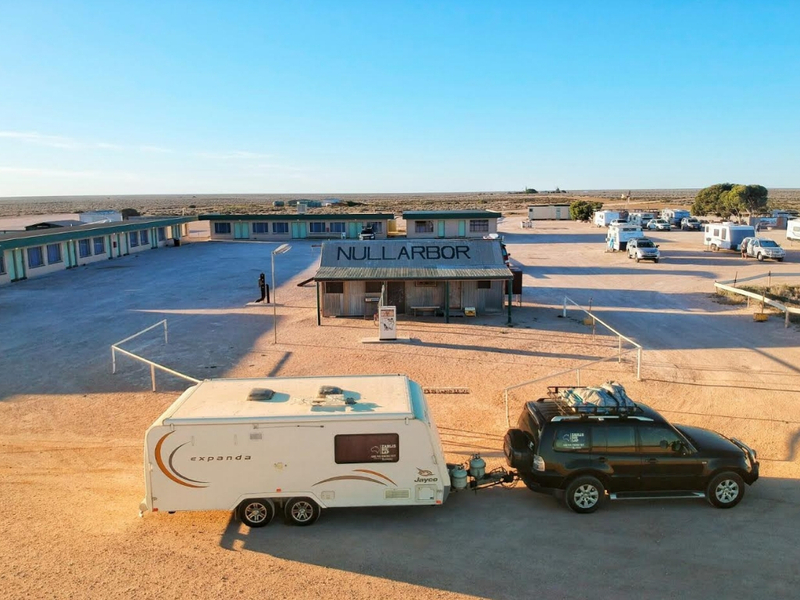 We originally had a Holden Commodore and a camper trailer – so these were put on the market and sold within weeks. Silly us contemplated doing it low cost with the Commodore and Camper trailer . Haha what a joke! So happy we didn’t – the trip would more than likely be ended, as well as our marriage. We didn’t have to look long for our van, a 2011 Jayco Expanda or our car, a 2009 Mitsubishi Pajero. These were purchased second hand from private owners in neighbouring towns. The next months were spent selling everything that wouldn’t fit into the van. On either marketplace, gumtree or at our garage sale. Thankfully the majority sold and this helped out the Lap of Oz travel fund. The rest of our belongings landed at the op shop or at the tip. Moving back from Germany only 5 years ago we didn’t realise how much “crap” we had accumulated. Both being well travelled and both having moved a few times we didn’t have any issues parting from those belonging. A lot were shocked when we told them our plans. I think mainly because it was so spontaneous. All in all we had a positive response, apart from the occasional comment that we were crazy. They were right, we are crazy. Since being on the road our life has been turned upside down, literally. It is chaos. In a good way. To think 6 months before our departure we had our house on the market to upgrade/upsize. Ppppffffttt, who needs more than 15sqm? Who needs personal space? Who needs a toilet with a door? NOT US! We have everything we need in our cosy home – each other. As corney as it sounds, its true. Since living on the road you truly realise how minimalised you can live, whats important and what isn’t. We originally budgeted for 12 months on the road NO work. However we simply LOVE van life and may stop for work on the East coast so we can travel a little longer. Our plan is to relocate, hence why we will stop for work to extend the trip. We have savings and a term deposit. This is our security for the next chapter. If this van life chapter ever ends. I think the biggest benefit out of this trip will be that we get to experience our girls grow and get to help and guide them through each milestone. Our girls are young. We don’t have to worry about school or sports. All we need to worry about is feeding them and making sure they get enough sleep so our days can be somewhat enjoyable. Travelling with kids isn’t always as blissful as Instagram makes it out to be. Seven months in and our tip to anyone contemplating doing a lap, half lap or even a quarter lap is – DO IT. Head on over to our Facebook, Instagram and web page to keep update with our life on the road. Thanks again to Ebony and Micha from Zahlis Big Lap for sharing your story. I think it shows how quickly you can get on the road once the decision has been made…….Safe Travels!